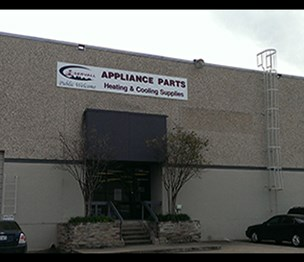 1st Source Servall Appliance Parts is your appliance parts source. Find parts for most appliances from almost every major brand! At 1st Source Servall Appliance Parts you'll find everything you need to repair your broken appliance. Whether you're a do-it-yourselfer or a certified technician, you'll find the parts and tools you need from the everyday to the obscure. If we don't have the part you need in stock here in Dallas, we'll locate it for you in our extensive online inventory and have it shipped fast and of course, at a great price. Stop in today and experience the excellent customer service that has kept the door of 1st Source Servall open for over 80 years. We look forward to serving you! According to our records, this business is located at 609 West Mockingbird Lane in Dallas (in Dallas County), Texas 75247, the location GPS coordinates are: 32.8095418 (latitude), -96.8751786 (longitude). 1st Source Servall Appliance Parts is categorized under Rubber Stamps (SIC code 5999). The company employs approximately 3 people. You can contact the company by phone at (214) 352-4978; the following fax number is also provided: (214) 352-7902. Business website can be accessed at www.1stsourceservall.com. Open from 8:00 am until 6:00 pm (Monday - Friday), from 9:00 am until 1:00 pm (Saturday).